As owner/handlers Erin and I have finished 43 Raklyn Champions. As Professional Handlers we’ve finished over 132 Champions for our clients.  In 1998, I left my management job at Aetna Insurance Company to become a Professional Handler. 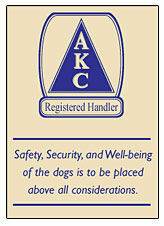 When the AKC developed the Registered Handlers Program, I applied and became an AKC Registered Handler. In 2010, Erin applied to the program and is also an AKC Registered Handler. I attend Dog Shows in all of New England, New York, New Jersey, Pennsylvania and Maryland. Additionally, I always go on the January Florida Circuit and often times the Tar Heel Circuit in Raleigh, NC in March. We always attend the American Boxer Club National and as many Regionals as possible. Erin has a full-time career but continues to attend most local shows along with the National. Although I specialize in Boxers, I also show Dobermans, Boston Terriers, and French Bulldogs. Check the Show Schedule posted on the Website monthly to see what shows we’ll be attending and contact me if you are interested in my show handling services.